Discover the best of New Orleans on this private, 3-hour city tour. Ride in a luxury sedan or SUV with a professional chauffeur and tour historian. See famous New Orleans neighborhoods like the French Quarter, the Ninth Ward, the Garden District, City Park, Saint Louis Cemetery, and much more up close and personal, at any pace desired. New Orleans hotel pickup and drop-off included. Custom design this tour to fit any interests and time requirements while in the Big Easy. 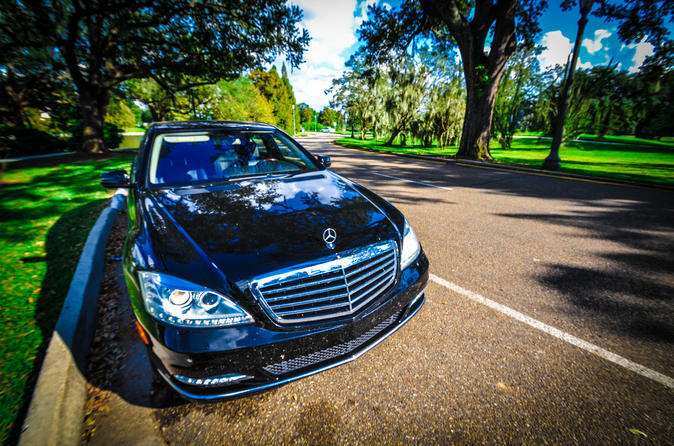 Enjoy a black car touring service with both a personal chauffeur and a historian while exploring any New Orleans neighborhood desired. Start with a pickup from any New Orleans hotel, then visit the French Quarter, the city’s oldest neighborhood, and Saint Louis Cemetery, a historic, above-ground cemetery. Journey to the old American Sector, known today as the Warehouse/Arts District or mosey over to the Garden District, home to the city’s oldest streetcar line. Visit City Park with the largest and oldest live oak grove in the world, or the Lower Ninth Ward, a neighborhood whose destruction was ingrained into the nation’s memory in 2005. The tour ends with a New Orleans hotel drop-off.